Mary D joined our family in March 2017. Our vision is to sell our home and work and travel in her full time beginning in 2018! That’s not a hard deadline, however, so we’ll see what the Lord has in store for our nomadic dream. 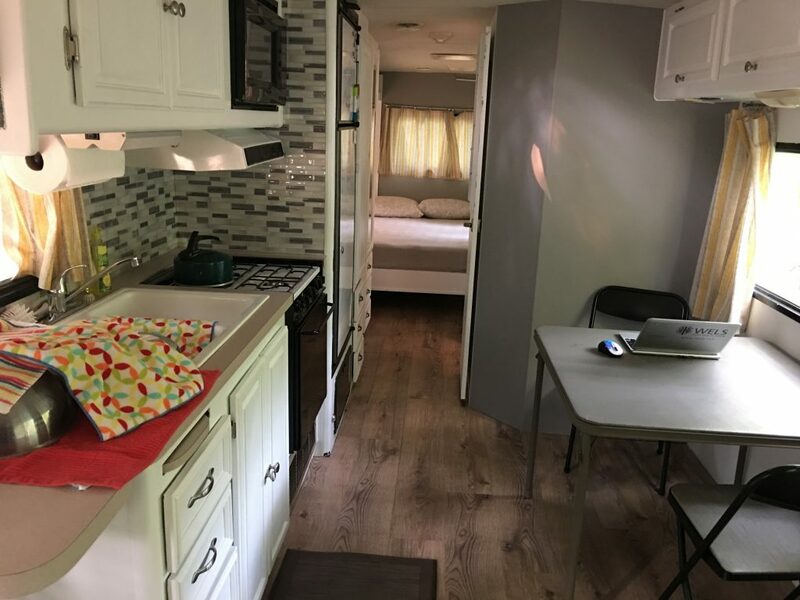 Mary D is a 1996 Tiffin Allegro Bay motor home. She is 34 feet long and we plan to tow a small car (officially known as a toad) behind for sightseeing and short trips. During the summer of 2017, we renovated the interior of Mary D with paint, curtains, laminate wood floors and a queen size Murphy bed. The colors we used are white, grey and yellow, and I LOVE how it turned out! !